Bali has come a long way since Nasi Goreng and Ikan Bakar. 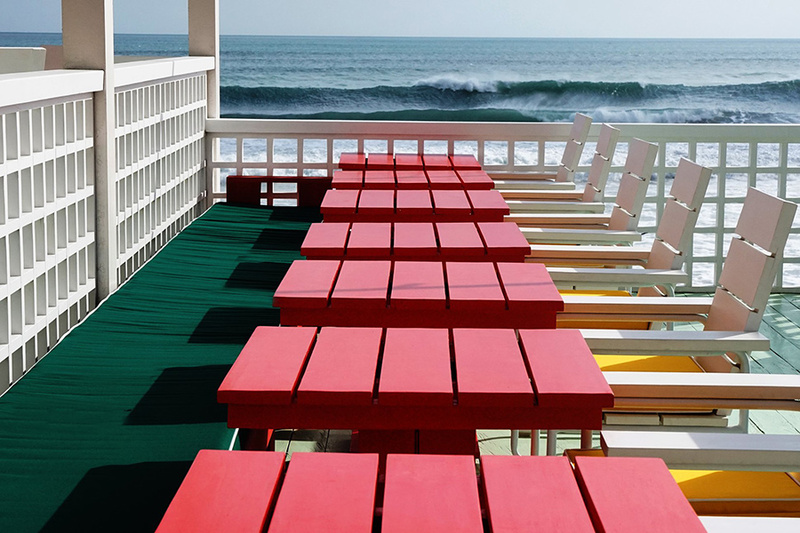 The island buzzes with bustling venues, reservation wait lists, and award-winning chefs. The Asia Collective is a social butterfly and foodie at heart – we’re always out and about in town to discover the best spots you need to add to your must-visit-list! 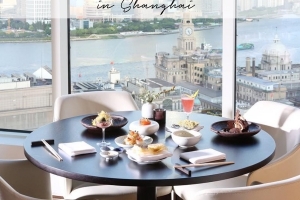 Indulge in the finest dishes from all over the world in the trendiest hotspots while enjoying some of the world’s finest cocktails. 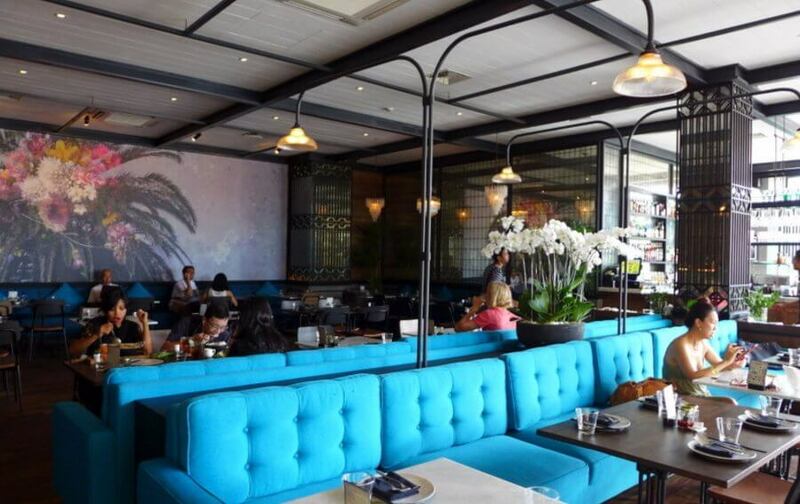 We are spilling the secret of the 20 best restaurants and places to-be-and-be-seen in Seminyak. As soon as you step into this large warehouse space, you will be inspired by its mosaic tiled floors and loft-style setting. 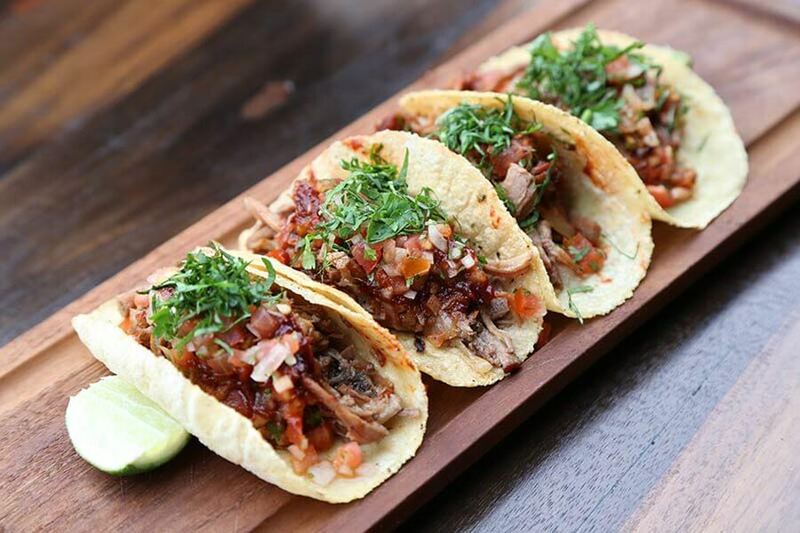 BARBACOA specializes in BBQ wood fired and charcoal meats with a Mexican influence. The trendy setting also has a bar in the middle, creating the perfect atmosphere for a group dinner and pre-party drinks. 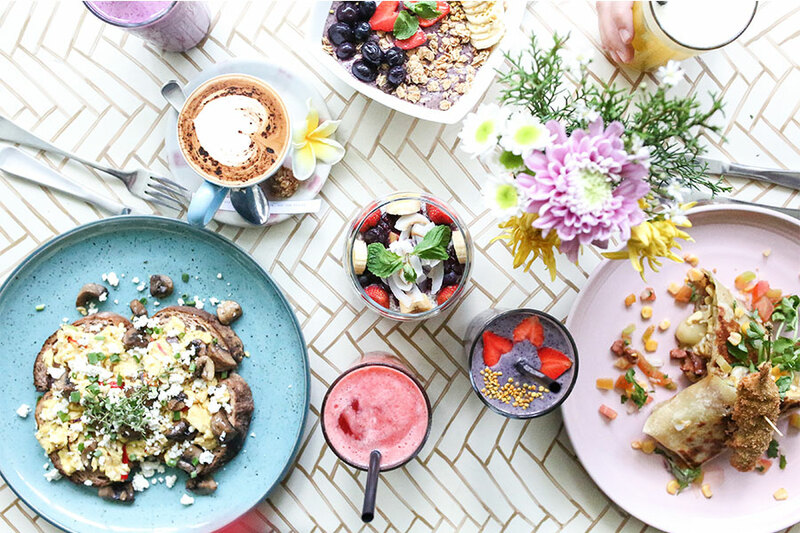 Insider Tip: Shop Hungry in Bali to receive exclusives privileges, including 20% off at Barbacoa. 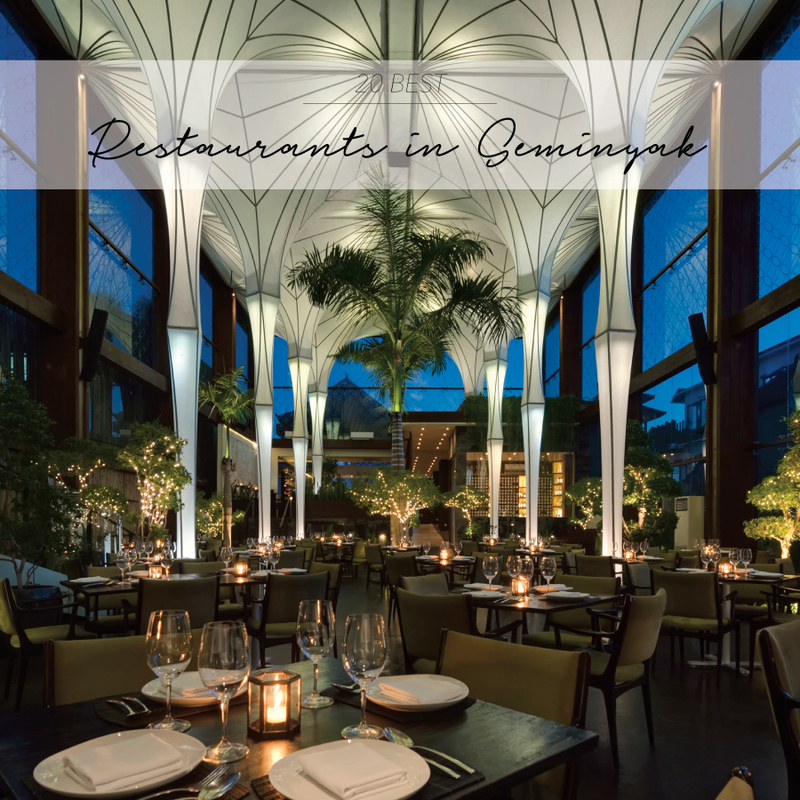 When you walk into the dimly lit setting you will be unexpectedly wowed by its 2 storey high roof and architecturally European inspired columns – designed to funnel rainwater – creating a grand and sophisticated ambience. 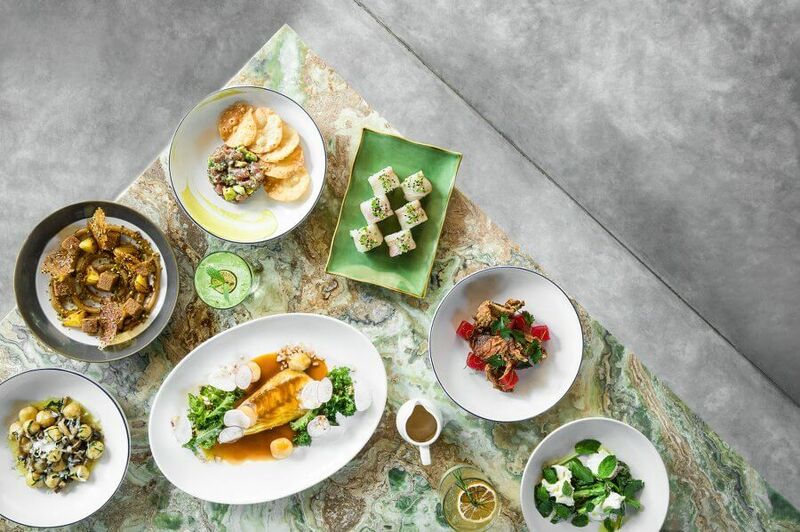 MERAH PUTIH’S experimental Indonesian fusion dishes are served with a traditional and modern twist, designed for “sharing” and exploring different spices and flavours. Insider Tip: Shop Hungry in Bali to receive a free dessert with a minimum spend 400K. 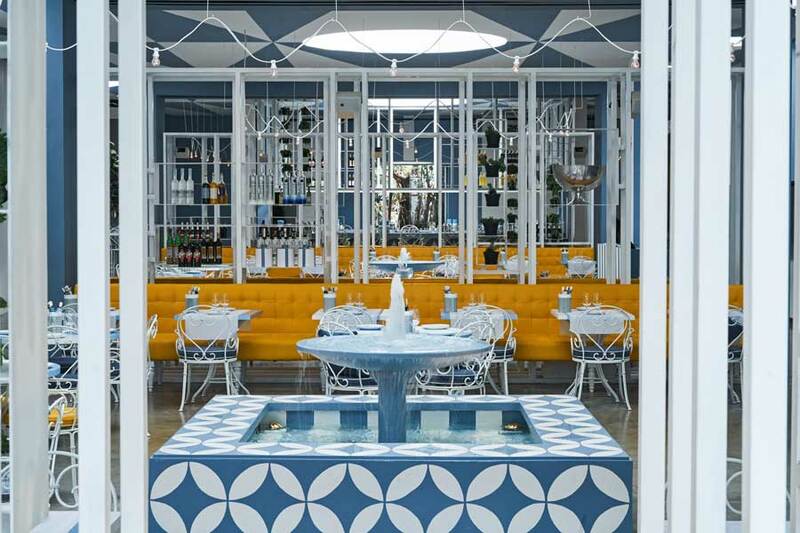 Bringing the Amalfi Coast to Bali, Seminyak’s new hotspot, DA MARIA is the latest brainchild of Maurice Terzini who has created some of Australia’s most iconic dining venues including the famed Bondi Icebergs. 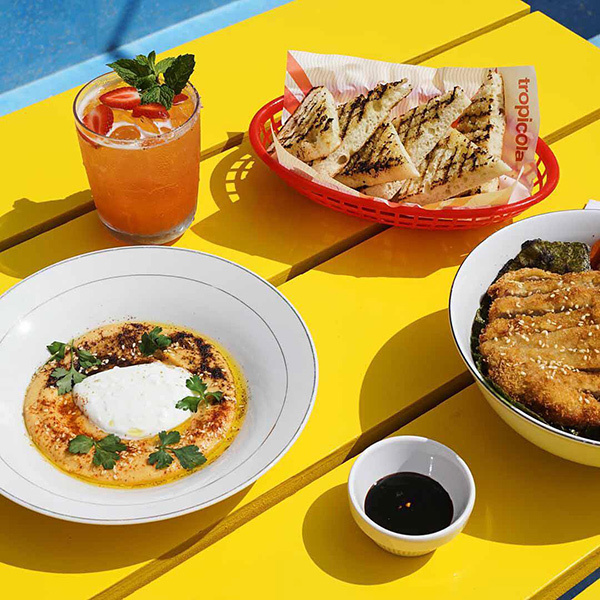 The hyped Italian Osteria attracts a hip crowd and has quickly evolved into the latest place to see and be seen. Escape to Italy with authentic Italian food and wine experience all set within captivating interiors featuring that Capri feeling in the heart of Seminyak. Join the crowds at their busy bar and enjoy La Dolce Vita with Da Maria’s Campari-based blends for a buzzing night out. Insider Tip: Shop Hungry in Bali to receive complimentary pizzas at Da Maria, and many more amazing incentives across 60 venues! 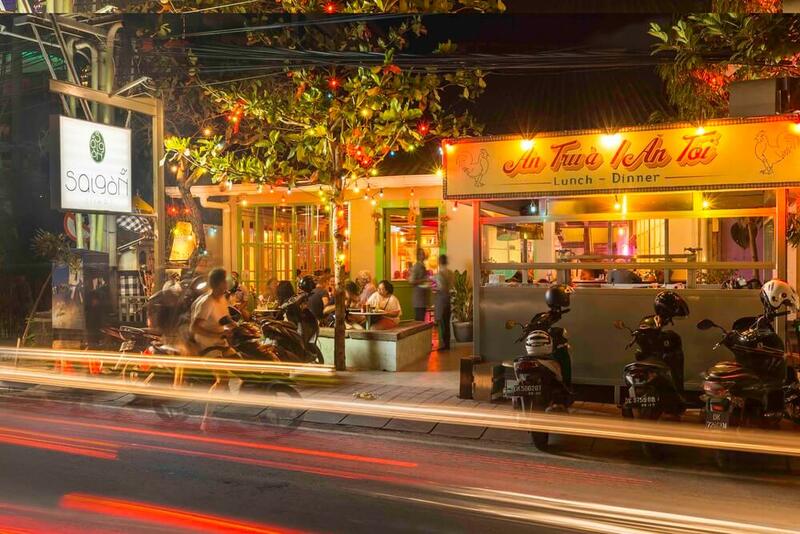 Seminyak’s latest hot-spot SAIGON STREET has become the place to “be seen” in Bali, serving Vietnamese with a western twist. 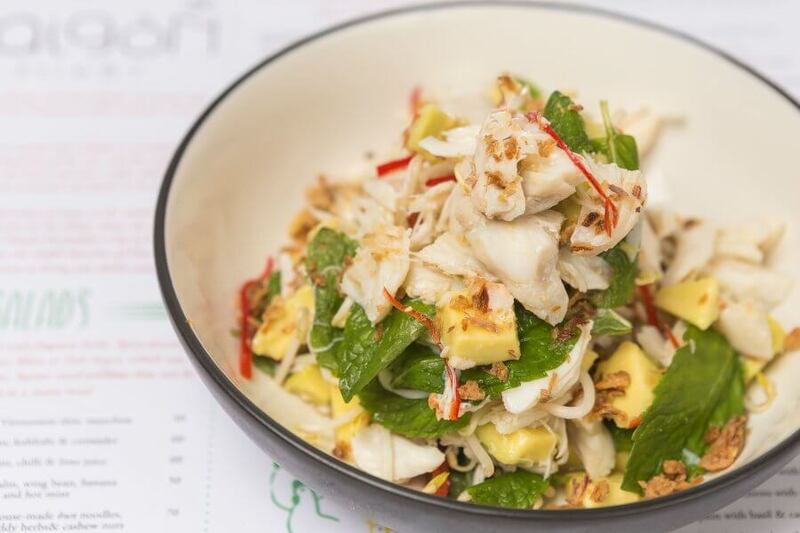 The healthy and light “sharing” dishes will excite your taste buds whilst you soak up the 80s vibe surrounded by the familiar settings of the bright Saigon lights. 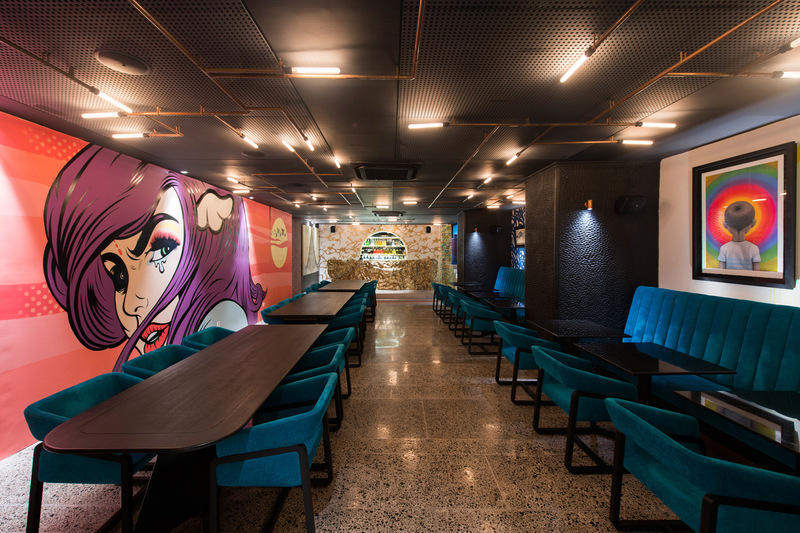 Enter Aya Street – A fine dining restaurant meets gallery space that will ignite the senses and transport you to a world of wonder through Asian Latin style cuisine, theatrical cocktails, bold interiors, global street art and eccentric installations in an authentically urban setting. 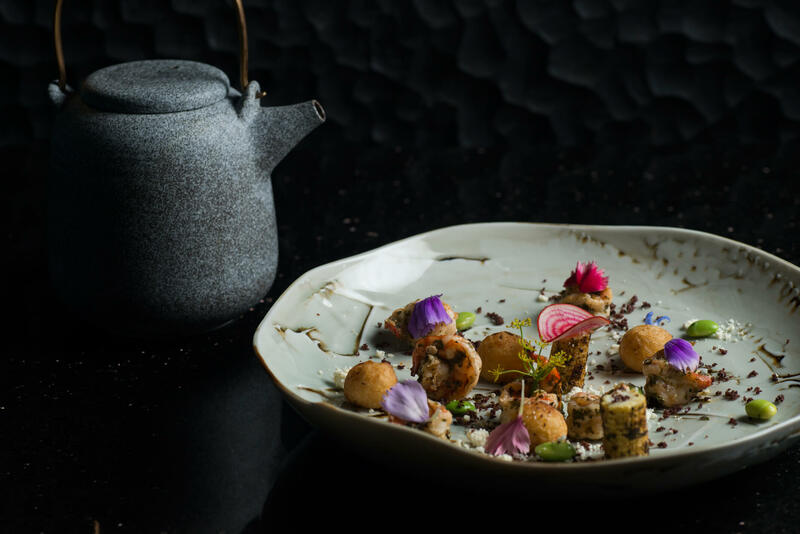 Renowned Chef Marco Cuevas has curated a tantalising menu that combines a refreshing mix of Latin and Asian gastronomy. 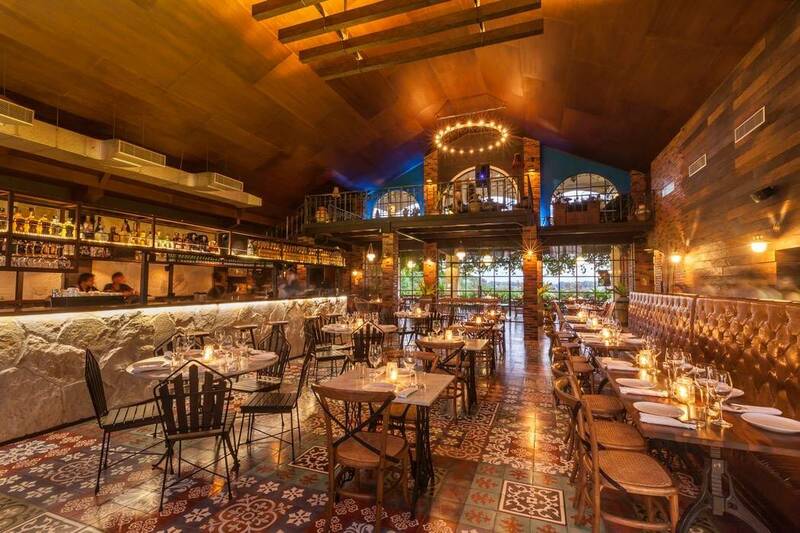 Try the Classic Ceviche, Lomo Saltaldo or Grilled Octopus! Among their signature cocktail range, the ‘Espresso Ayatini’ and ‘Duck Lips’ are not to be missed. Visit Aya Street for a unique dining experience that offers endless visual stimulation and international beats in the heart of Seminyak. Insider Tip: Use your copy of Hungry In Bali to receive 2-for-1 cocktails + 2x Pisco Sours on the house at Aya Street! 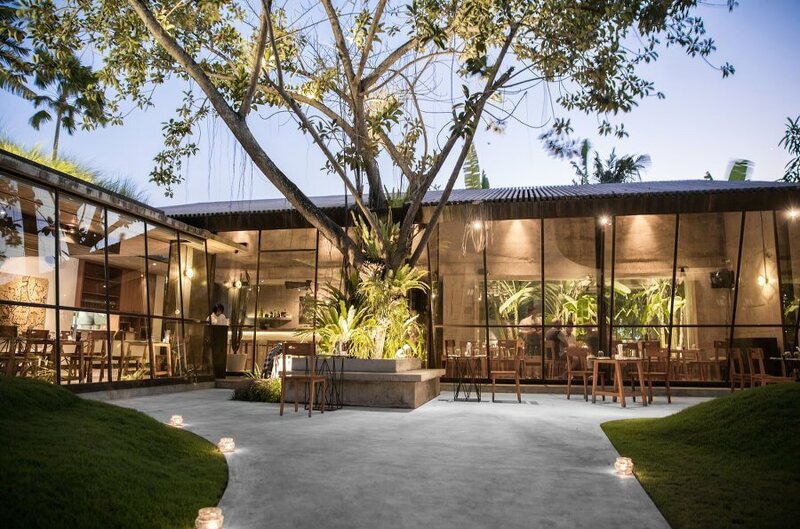 This minimalistic designed restaurant is tucked away behind Oberoi and could possibly be Seminyak’s best-kept secret! KILO boasts polished concrete floors and walls, floor to ceiling glass windows, but still a homely vibe. 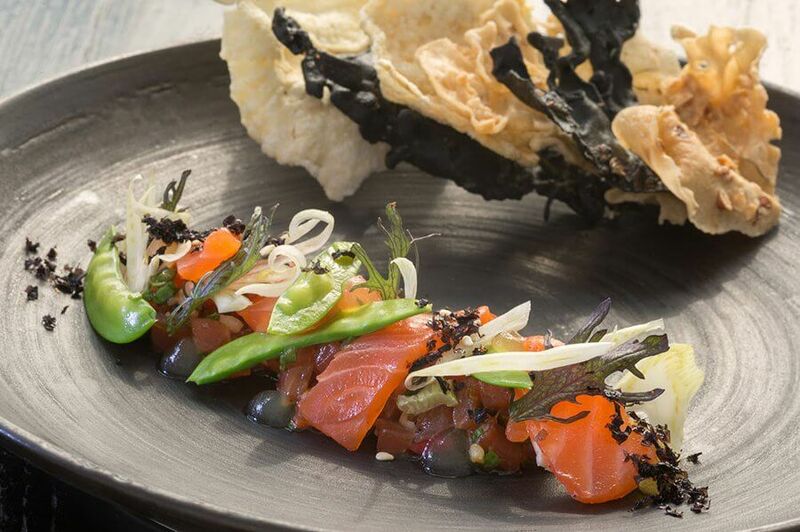 The food is beautifully styled on your plate and some of the best Japanese we’ve tasted on the island. This upstairs-downstairs restaurant lounge bar will have you entertained for the entire night. MAMASAN which reflects old and new world is another place to “be seen” in Bali, with its social dining setting and buzzing upstairs bar. Rich in every Asian flavour but with a predominant Thai influence, the “sharing” menu will send your taste buds into a sensory overload. 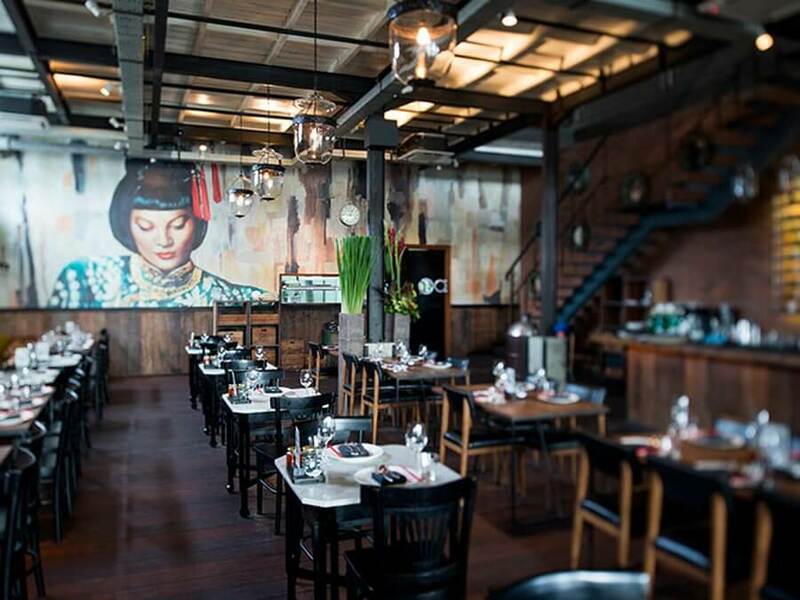 Insider Tip: Shop your copy of Hungry in Bali to receive 10% off your bill at Mamasan. Step out of your beach attire and into your nicest high heels before stepping into SARONG’S classy restaurant and bar. Refresh yourself with one of its superb cocktails before residing to your table to enjoy the award-winning flavours and spices inspired by Asian street food vendors, predominantly in India. 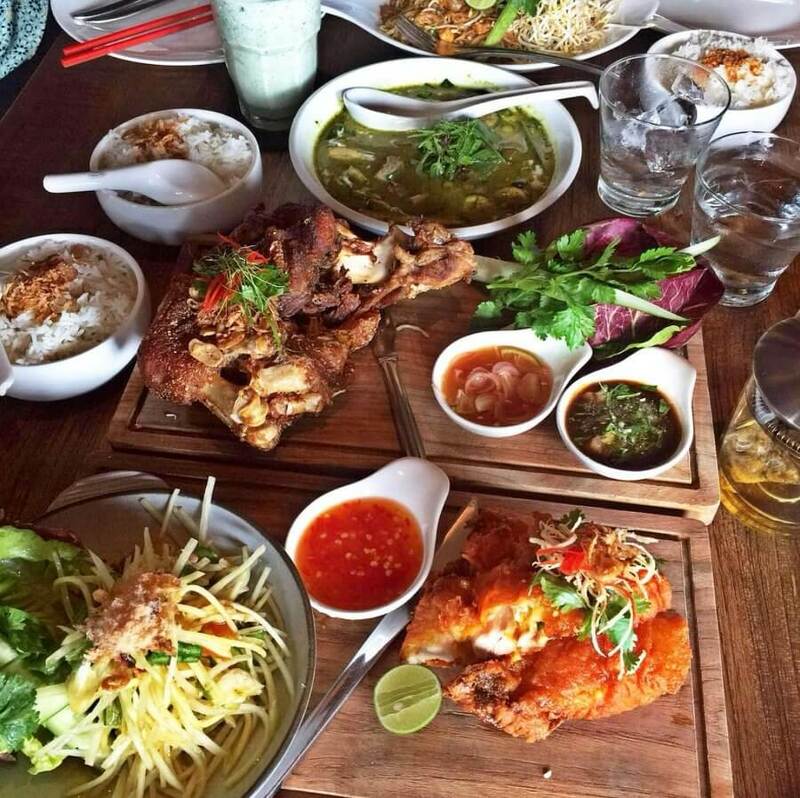 Insider Tip: Shop your copy of our Ultimate Bali Dining Guide Hungry in Bali to receive 10% off the bill at Sarong. A nod to another time and era, blinding Summer sun, poolside day drinking, salty sea breeze, this is Tropicola. 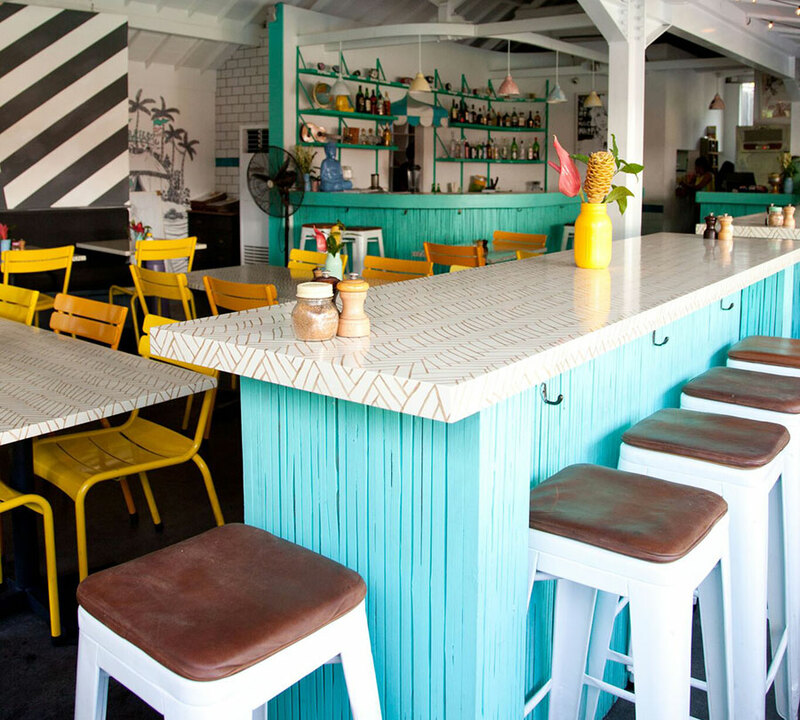 Brought to us by the creative geniuses behind Motel Mexicola Bali and Bucket List in Bondi Beach, Seminyak’s latest beach club has quickly become a rendezvous hotspot for anyone looking to escape the ordinary. 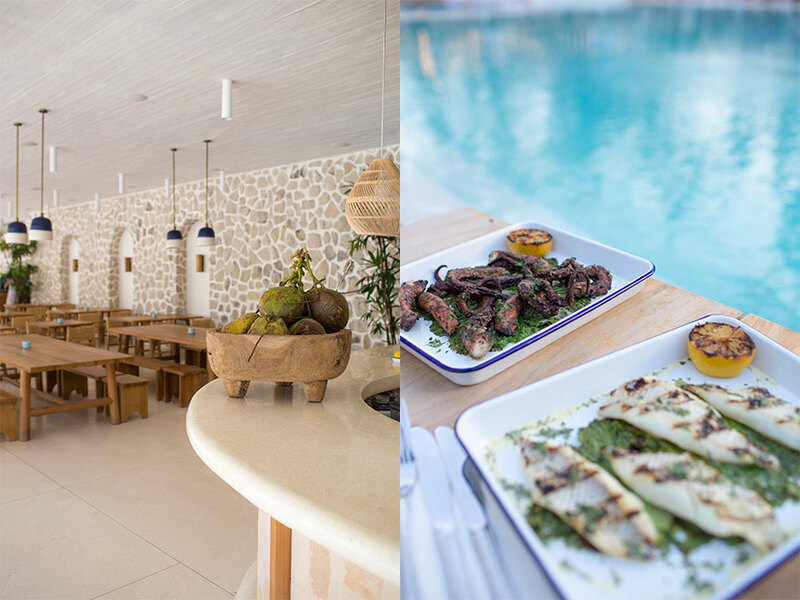 Located directly across from Batu Belig Beach, this is your next stop for fresh Mediterranean inspired eats, refreshing cocktails and mixers, and long days spent poolside. The Club’s modern-day tropical mansion inspired design and aesthetic is both intriguing and inviting from the outside, and mesmerising once you’re in! 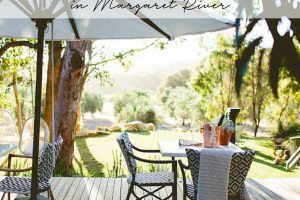 Find yourself perched poolside on either a sun lounger or daybed, then let the hours roll by. 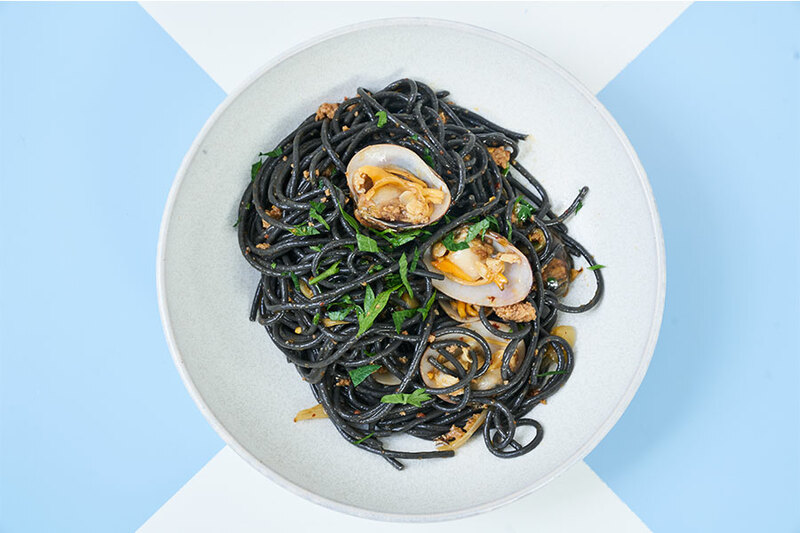 Indulge in some of the menu favourites such as; Wood Grilled Fish, The Vegan Bowl, Prawn & Coconut Cocktail, we also hear the Banana Split cannot be missed! 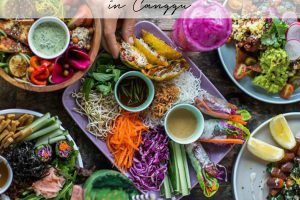 You cannot go past this Seminyak institution with its brightly coloured, captivating and quirky interiors and its mouth-watering day-to-night food offerings. You’ll have a hard time choosing a menu favourite from the restaurant, cocktail bar and coffee den, as SEA CIRCUS simply has one of the tastiest selections in town for breakfast, lunch and dinner. Bring the family in for an addictive breakfast experience or stop by with your love for a non-pretentious dining experience under the glittering fairy lights. 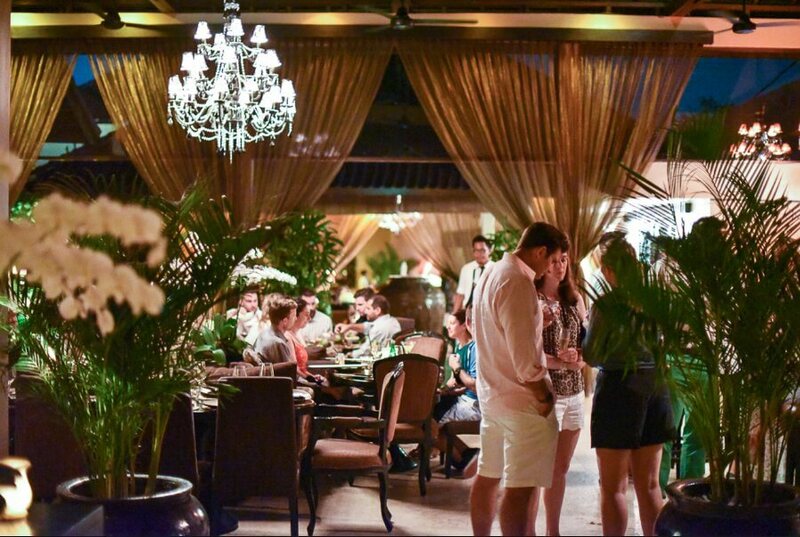 Insider Tip: Shop Hungry in Bali to receive 20% off your total bill or unlimited 2-for-1 cocktails at Sea Circus! 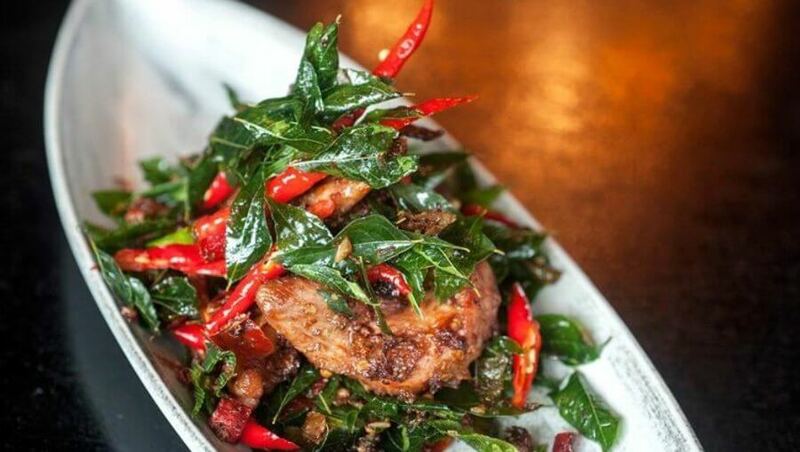 This little cousin to Mamasan has roared onto the Seminyak restaurant scene with its Penang street food inspired “sharing” dishes. 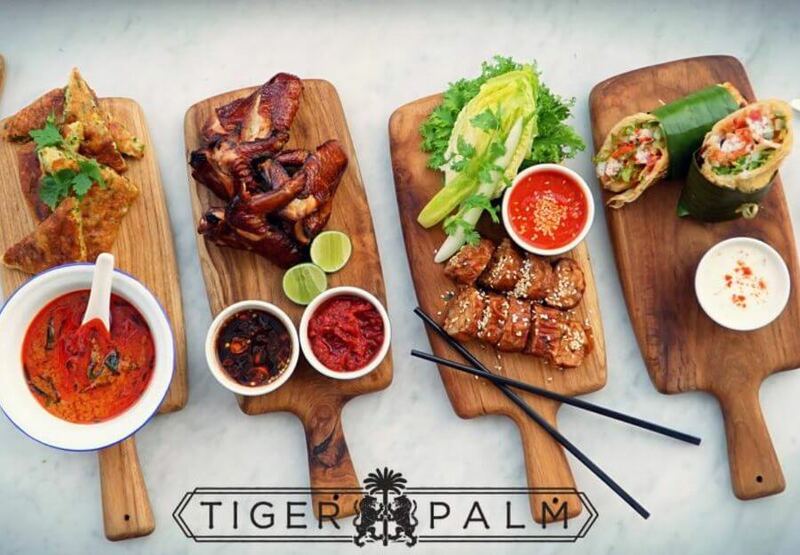 With TIGER PALM’S elegant eclectic decor combined vintage Malay and Tiki-pop highlights, you’ll experience a small taste of Malaysia in the heart of the busy shopping district. Expect to find yourself dancing on tables and shotting tequila in Seminyak’s liveliest restaurant. 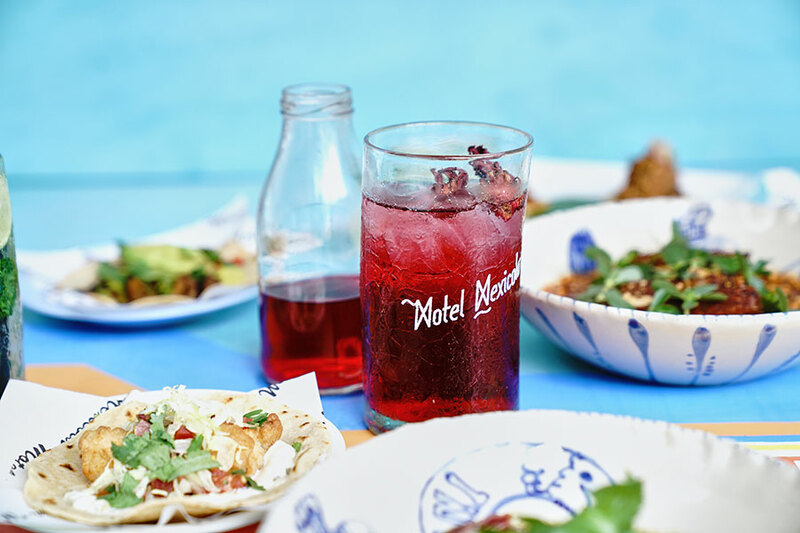 MOTEL MEXICOLA’S vibrant and colourful venue turned makeshift dance club is the place to go if you’re prepared for your night to escalate quickly. Its delicious fish tacos and other Mexican tapas will perfectly compliment your margheritas, while you fiesta into the night. A lush oasis in the heart of Seminyak, Mrs Sippy Bali is the newest hotspot to join the island’s vibrant culinary scene. The huge turquoise pool with dramatic diving boards, the open-air restaurant and stylish bars is where you’ll spend your days swimming, tanning and dancing from day to night. As soon as you have worked up an appetite, MRS SIPPY’S team of international chefs will take good care of you. Enjoy their fresh salads, succulent seafood and pizzas courtesy of the open-air kitchen, with its wood-fired grills and pizza ovens. Splash out for a special occasion at PLANTATION GRILL above Double Six Hotel, with twenties-style luxury and glass walls overlooking the ocean. 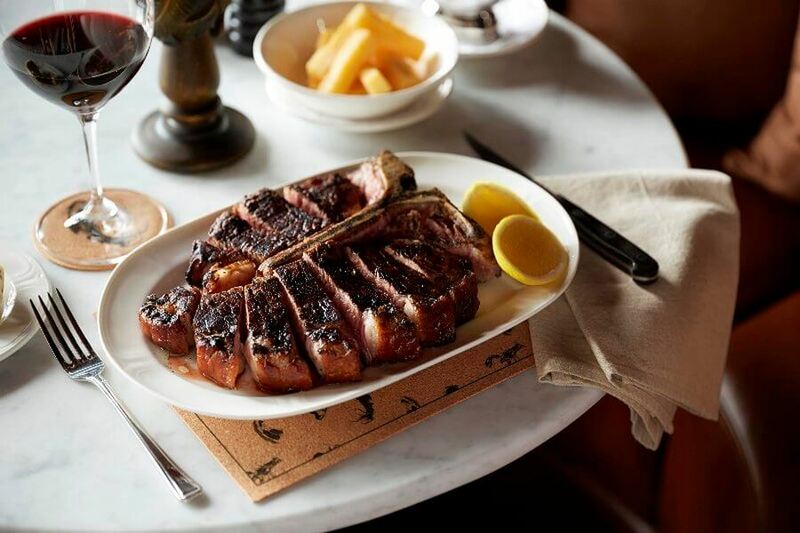 Indulge in high-quality imported meat and line-caught sustainable seafood cooked on coal, wood grill, and wood-fired ovens. 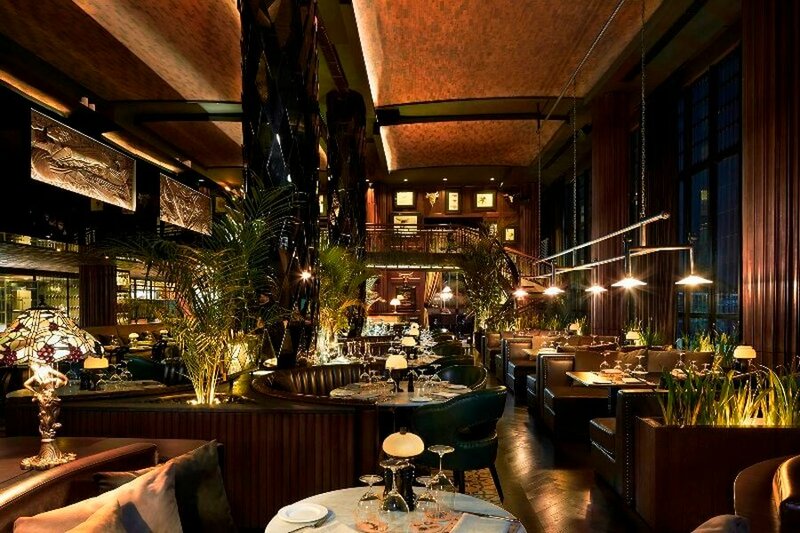 After dinner, climb its spiral staircase for a cocktail in its ‘The Great Gatsby meets Hemingway’ Sling Bar. Walking into this enchanted open-air restaurant you will be impressed by its traditional take on Bali. 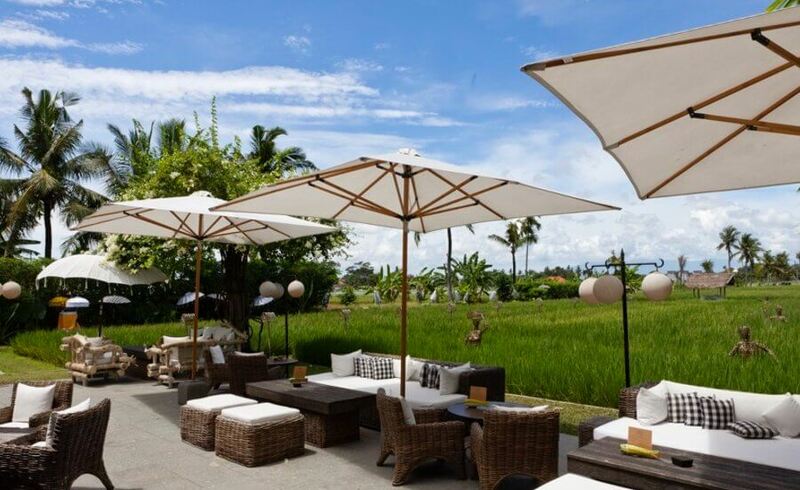 Set under a gorgeous thatched bamboo roof, SARDINE has a stunning outlook over the illuminated rice paddy fields and lily ponds. 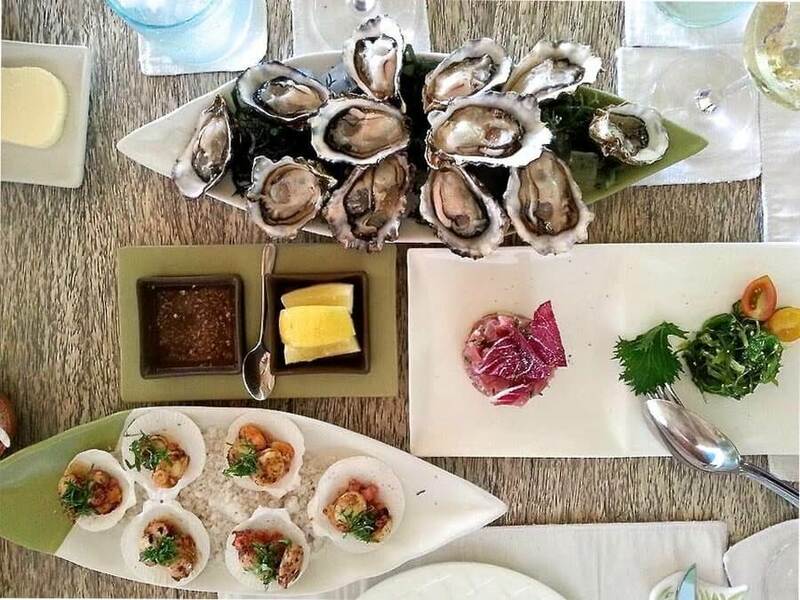 The produce is equally impressive with daily seafood caught by the local fisherman and organic vegetables from its own vegetable garden. 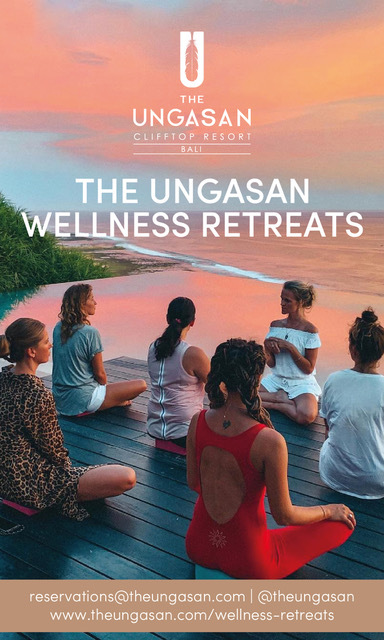 We guide you and your travel partners to Bali’s 60 hottest must-visit venues as well as heavenly spas that cannot be missed across Seminyak, Canggu, Ubud and the Bukit Peninsula. But the best is yet to come – each venue offers a unique privilege when presenting your HUNGRY IN BALI premium print hard copy or e-book before ordering. 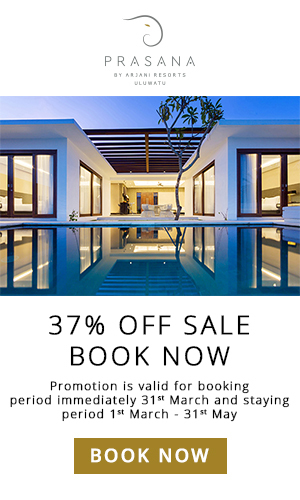 Receive 2-for-1 main dishes and spa treatments, complimentary cocktails, 30% off the bill and many more unique privileges across 60 of Bali’s best restaurants, hippest cafes, trendiest beach clubs and most relaxing spas. 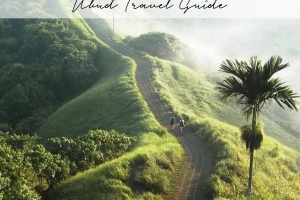 So we not only guide you to the hottest places in Bali – but we also help you to save up to US$ 1,000 on your Bali trip! Click here for a sneak peek into HUNGRY IN BALI‘s unique privileges that will await you at the island’s most famed venues.